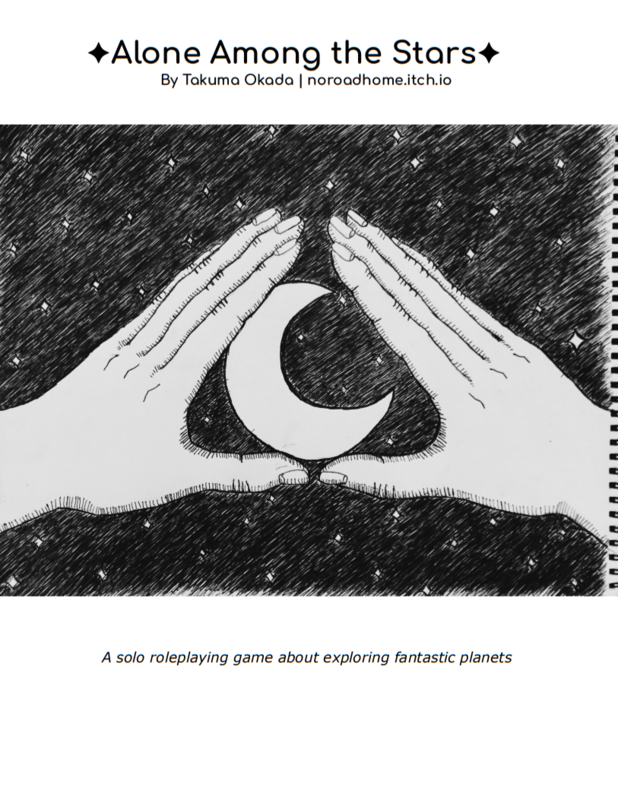 A tabletop roleplaying game about exploring space and experiencing wondrous sights. Uses a standard 52 card deck and a six-sided die. For 1+ players. You can find the audio version of the rules with timestamps here. You can play the game on Twitter at @among_stars_. Thanks to Matthew R.F. Balousek for creating it, who can be found on Twitter @mrfb and on itch at https://mrfb.itch.io/. This game filled a void in my days and it keeps inspiring me. Simple, elegant and elevating. I wish to try more sets of this game and its hacks. "Planet Ijira 22: I saw them from atmo, leviathans the size of islands, cutting cleanly through the waves of this watery world. As I grew closer, one raised a mountain-high fin, and surfaced enough to drawn me in with its storm-dark eye. Though my craft is ill-suited to water landings, I made the trip, struggled down onto the surface where the waves buffeted me that I might meet their eye with my own. How strange and lovely to find kinship here, with creatures who only resemble me in our matching curiosity for each other." 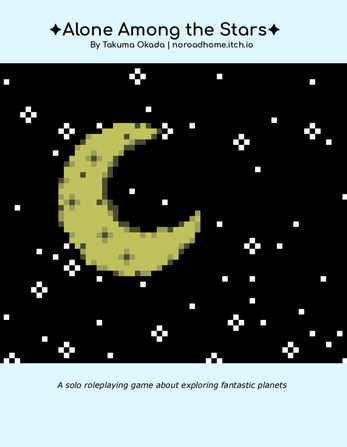 You can't beat a cozy space exploration game. Great stuff.